Is Hadskis Home To Belfast’s Best Burger? 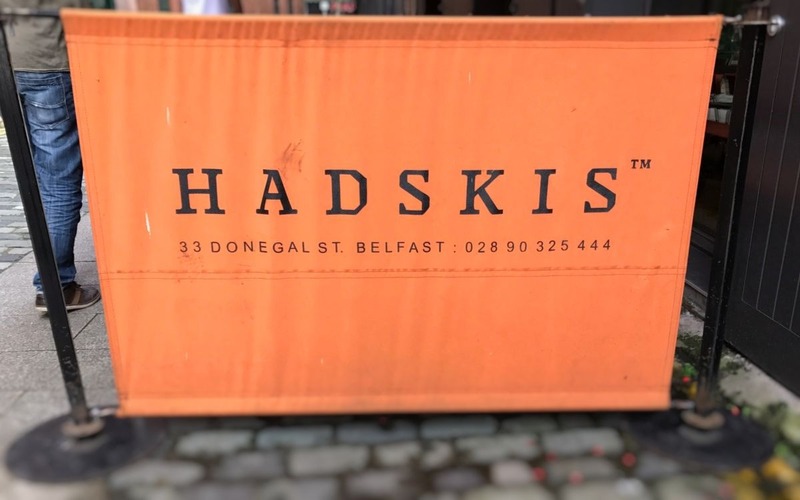 We recently stopped by Hadskis Restaurant in Belfast while enjoying a day exploring the city centre. Part of the James Street South family, we’d heard positive things about Hadskis, and mainly their selection of steak dishes, and the Hadskis burger. With our taste-buds suitably tickled it was time to check out what Hadskis had to offer. Hadskis is located in the heart of the popular Cathedral Quarter area of Belfast City Centre. An area that is famed for its great choice of bars and eateries, Hadskis is one of many reasons to get yourself along to this part of Belfast. 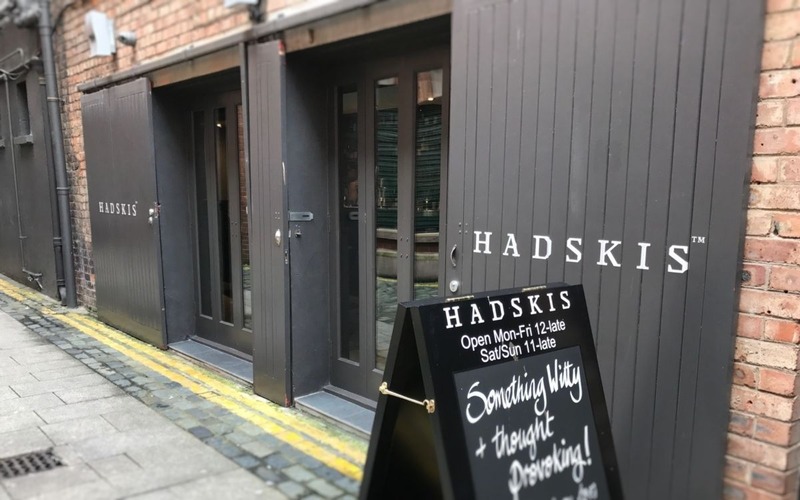 Located in Commercial Court, just off Donegal Street, Hadskis is a short-walk from two of Belfast’s most popular pubs – The John Hewitt and The Duke of York. Get yourself along to Hadskis, and you’ll not have far to travel to enjoy a beer and a famous Belfast welcome. Sometimes it’s the simple things that provide the greatest pleasure, and that’s certainly the case with the Hadskis burger. We arrived at Hadskis with intentions of trying out one of their steaks, but having trekked through the city centre we decided it was an afternoon for burger and chips, and boy were we glad we made that call. Many places claim to do the best burger in Belfast, some even claim to do the best in Northern Ireland. If like us, you enjoy tucking into a juicy burger when dining out – there’s just something mesmerising about a burger and a beer – Hadskis is somewhere you simply must visit. 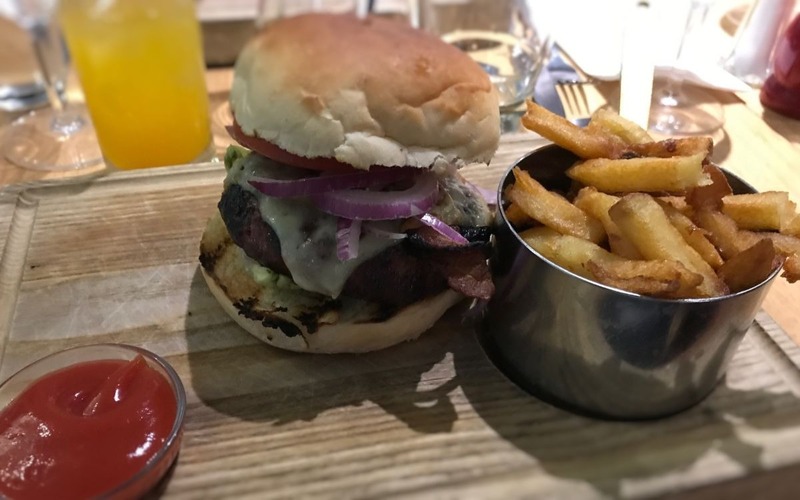 We’ve visited numerous cafes, pubs and restaurants in recent years, many of whom can cook a superb burger – Maghera Inn (Co. Down), The Warehouse (Derry City), The Grill (Belfast) and 37 Dawson Street (Dublin) – all get notable mentions, but in our eyes, Hadskis reigns supreme when it comes to the humble burger. It’s hard to describe what makes it so good, it just tastes bloody great! There’s a smokey char to the burger that just enhances the flavour, while the smoked bacon and cheese just add that extra oomph that leaves you salivating and craving a second burger. The burger meat is Glenarm Shorthorn Beef supplied by the finest of them all, Hannan Meats (if you’ve enjoyed Hannan Meats before, you’ll know what to expect), and no doubt the quality of meat has a big bearing on the end result of this stunning burger. If you’re on the lookout for Belfast’s best burger, we suggest we begin your journey by visiting Hadskis. Let us know your favourite burger jaunts below. Until next time, happy burger hunting.